Manon Bancsich, Gloria Damijan, Gobi Drab, Martin Gut, Bernd Klug, Bernhard Schöberl, Christine Schörkhuber, Dyre Magnus Korssjoeen, Bjoernerem. A night at a street crossing to main viennese traffic street 'Guertel' in front of the Rhiz. Through 11 hours, from dusk till dawn, the same corner was filmed. The pulsing of the traffic, the movement of the city and the rhythmic alteration of city lights are the partitur for a various group of musicians. "Bildpartituren" (Christine Schörkhuber): In a changeable visual interaction of scores and paintings Schönbergs Pictures and his compositions are brought together. This collage is the trigger for a improvisational process between the musicians. 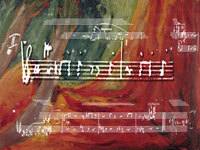 One part repeats the scores, the other part interprets the paintings in a free musical improvisation. How would schönberg have sounded (for them), if he had formulated the impressions he expressed with paintings in his scores? 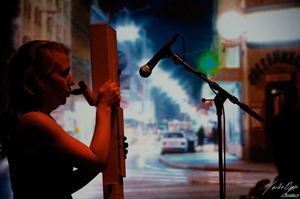 Spoken sound and voice is initial point for a A/V performance, that deals with phonetic articulation and translation. 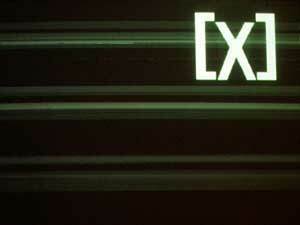 Audiosignals are interpreted by Videoequipment. 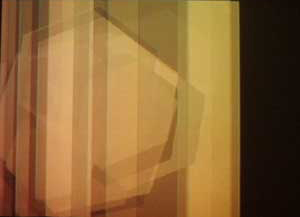 Interferences are used as aesthetic material by a singer and a video artist. the frequencies of the voice activate an immediate visual reaction.